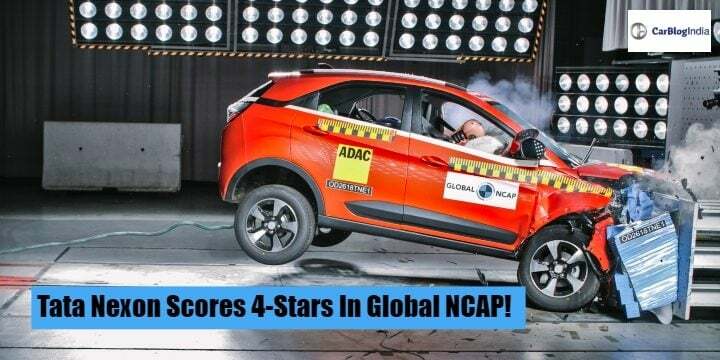 Tata Nexon SUV has scored 4 stars in the global NCAP Crash Tests. We have the results and it is one of the few cars to have such a high rating. Check out the details in the results below. 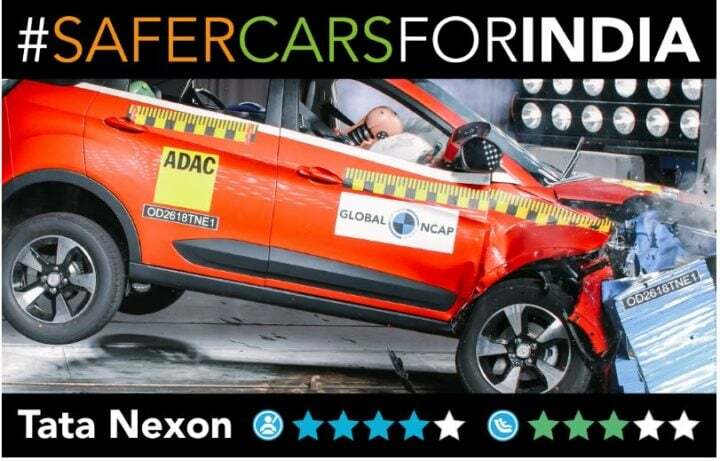 Tata Nexon SUV, a ‘Made In India’ product has scored 4-stars in Global NCAP Crash tests. It is one of the very few Indian cars to receive such high rating. The compact SUV achieved a strong result of four stars for adult occupant protection and three stars for child occupant protection. The report states that Nexon can offer 4-start protection with good protection for the head and neck of driver and passenger and adequate protection for their chests. The report also states it Stable in the 64 km/h offset deformable barrier crash test. Nexon gets Dual Airbags with ABS as standard equipment across all its variants. Tata has also received another 4-stars in safety with its sub-compact sedan, Tata Zest. For children occupant protection, it gets a 3-star rating. The ISOFIX Child Restraint Systems helped with this rating, as the rearward facing CRS it showed good protection to the 18 months old child. On the other hand. the forward facing CRS offered good protection for head and limited protection to the chest. Safety features of Nexon include Driver and Co-Driver Airbags with ABS as Standard Fittings. It gets Park Assist with Rear sensors and rear cameras, front fog lamps with cornering assistance, rear fog lamps, ISOFIX, Speed Dependent Auto- Door locks, Follow-Me-Home lamps, Day and Night IRVM and Rear Defogger. In its segment, it is one of the safest cars. The Tata Nexon comes in petrol and diesel variant. The petrol variant uses a 1.2 Litre Revotron petrol unit and a 1.5 Litre Revotorq Diesel. The prices start at Rs 6.15 Lakhs and go up to Rs 10.59 Lakhs (ex-showroom Delhi). At this price, it takes on its main rival, Maruti Suzuki Vitara Brezza.